There were fifteen teams of snow sculptors. They were from 11 states and they gathered in Wisconsin. They were there to compete to be named the best in the nation. 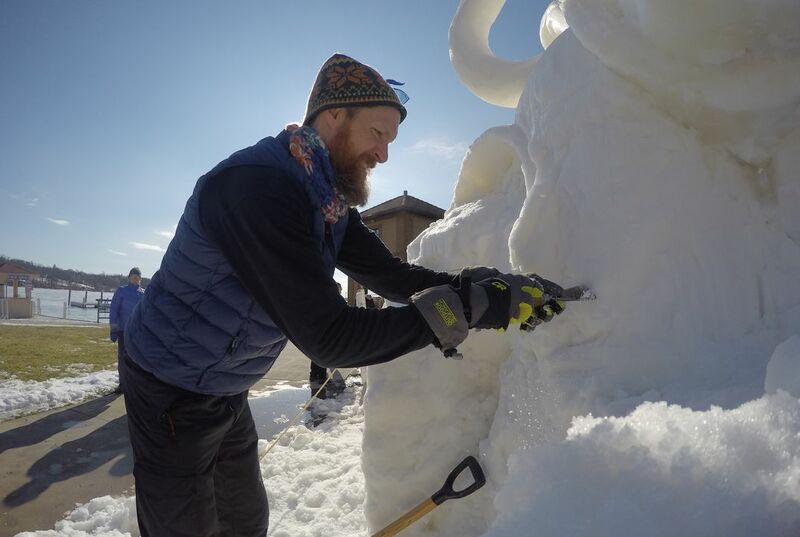 The U.S. National Snow Sculpting Championship went on for three days in February. It was held along Geneva Lake. A Wisconsin team won last year. Their sculpture, "Arbor Amor", depicted two intertwined trees. The team split into two. They competed against each other this year. Each team competing gets a cylinder block of snow. It is eight feet in diameter and nine feet high. 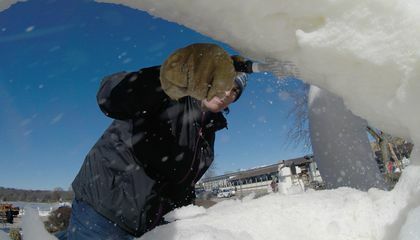 The teams can use only saws and axes. They can also use files and scaffolding. Plus, they can use shovels and other homemade implements. They are judged on creativity, technique and message. The winner gets a trophy. They also receive an invite to an international snow sculpting competition. Because its suppose to be a challenge and its based on creativity,technique,and message. Because they want them to do it with their hands instead of so many tools. So they cant cheat and make the snow sticky. So they cant cheat and use their own tools to make it better. No one is going to cheat on sculpting snow. I think some people are so eager to win they will use extra things so they will win. They are limited on certain tools because its supost to be a challenge. So it would be fair for everyone because someone could be rich and have a lot of stuff and the poor people barly have anything to use in the compitition so they limited the tools.